The real possibility of the yuan weakening to the 7-per-dollar mark last seen in 2008, hangs over China, emerging markets and global equities. The thinking so far has been that the risk of capital outflows, along the lines of what happened in 2016, would dissuade Beijing from allowing such a slide in the currency. But more recently, weak benchmark yuan/dollar fixings, a drop in the trade-weighted yuan index to below 2017 lows, and a flurry of comments and measures from policymakers reveal both a sense of panic and determination to prop up the economy. With third-quarter economic growth slowing to crisis-era lows, no let-up in Washington’s trade rhetoric and a stock market that’s lost 28 percent since February, China has been forced to ease monetary conditions and is cajoling banks to lend to small firms. It has just announced tax cuts that could reach one percent of GDP next year. A weaker yuan would complement those efforts. Yet a 7-per-dollar yuan would erode faith in the China’s stability and provoke more U.S. ire. And coming on top of rising U.S. yields, Brexit and Italian politics, it would add another layer of worry to world markets. Stock market turmoil, conflict over a contentious Italian budget, high oil prices, sputtering economic growth — not quite the backdrop a central bank wants to see three months before its it ends its stimulus programme. But that is exactly what the European Central Bank faces when it meets on Thursday. For now, the heightened risks to the growth outlook are not expected to derail its plans to end QE by year-end, but the bank could downgrade the growth risk assessment in its policy statement. That would be a dovish signal and one likely to cheer euro zone bond markets which have been guided already to not expect a rise in the ECB’s record low rates until well into 2019. No wonder then, that the gap between short-dated bond yields in the United States and Germany are at their widest in 30 years, while 10-year euro area bond yields (with the exception of Italy) have been largely insulated from the recent spike U.S. Treasury yields. The U.S. housing market, the store of much of Americans’ wealth, has taken a leg down of late, against the backdrop of the Federal Reserve’s signals of another rate hike this year and more in 2019. With rising borrowing costs and prices outstripping wage growth, the market has been a weak spot in the robust economy. So new homes sales data, due on Oct. 24, will be closely scrutinized. U.S. homebuilding dropped more than expected in September, while mortgage activity was knocked in the latest week to its lowest since 2014. The housing market has also been hobbled by an acute shortage of properties for sale and higher home prices. Residential investment contracted in the first half of the year and the latest data supports economists’ expectations that housing remained a drag on economic growth in the third quarter. Moody’s has just cut Italy’s credit rating to within a notch of ‘junk’ — the sub-investment grade category below BBB-/Baa1 which is usually populated by the weaker emerging economies. 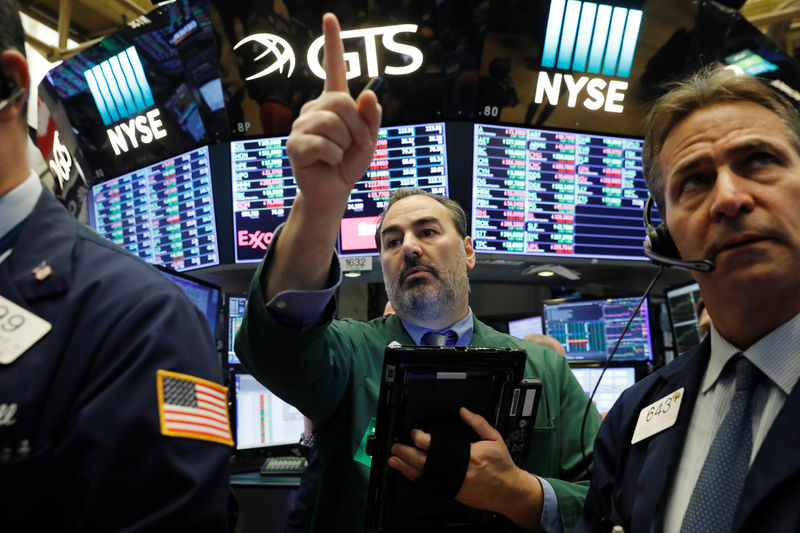 On Friday, S&P Global is likely to do the same, premising the move on Italian plans to boost spending to boost growth and the impact on a debt ratio that’s already one of the world’s worst. But Italy’s debt is trading with yields that suggest investors are pricing it as junk already. So the bigger risk than a one-notch ratings downgrade has been that one or both of the agencies set the outlook on Italy’s rating to Negative, instead of Stable. That would suggest a fall into junk is a real possibility in the near future. Loss of investment grade carries a high cost — hundreds of billions of euros in fund flows and possibly even a fresh euro zone crisis. Luckily for Italy, Moody’s has held off doing that, maintaining a steady outlook on the credit and providing a boost to bonds and stocks. Many will be hoping S&P follows its lead. European companies’ Q3 earnings are a key test for a market which according to EPFR Global, has seen investors pull out almost $5 billion this week. Investors are jumpy about China’s economy, rising costs, trade wars, and lacklustre euro zone growth. The coming week sees Europe’s most hated sectors — autos and banks — reporting earnings. French carmakers Renault and Peugeot will report figures. Coming after Daimler’s profit warning and negative outlooks from tyre maker Michelin and car dealership Inchcape, these will be watched for signs of strain from weaker car demand and higher trade tariffs. Results from UBS, Barclays, Nordea and the struggling Deutsche Bank will give a read on how bad things are for the banking sector. Analysts have slashed earnings forecasts for carmakers consistently over the past six months – and have become increasingly pessimistic on banks’ earnings since March. Shares in both sectors are in bear territory, having fallen around 20 percent this year. Earnings for MSCI Europe companies are seen growing more in 2019 than 2018, I/B/E/S Refinitiv data shows. And while earnings expectations were relatively stable in 2017, pessimism over Europe this year has led analysts to steadily downgrade their forecasts.